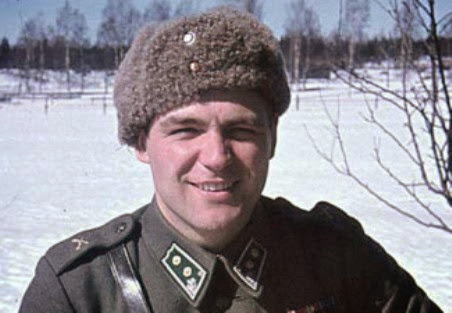 For fifty years the Soviet Union denied the existence of the secret protocol that Harry Järv (above) wrote so sharply about. On the day I die I hope to have an intact memory and if that is the case I will no doubt be able to recall my meeting with Harry Järv, a war veteran and author from Finland/Sweden who wrote the best piece I have read about what happened in Moscow on August 23 seventy-five years ago. The impression I got from my one and only meeting with Harry Järv, i.a. deputy director at the National Library of Sweden, was unforgettable. 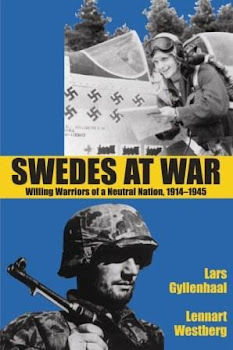 Sweden´s librarian number two had not only himself written a long list of important books, he had led many recon patrols behind Soviet lines after having joined the Finnish Army as a volunteer in the Winter War of 1939-40. In the midst of his wartime service he was able to reflect about leadership, art and also to change his leadership according to his evolving ideas on humanity and war. I think I can best describe him in English as a real-life Jedi. Twenty-five years ago Järv´s article "The Exception: Finland" (Undantaget Finland) was published in the Swedish culture journal Fenix. It is not available online but I would like to give some idea about it here now, as this coming weekend it will be exactly 75 years since the Molotov–Ribbentrop Pact, including a secret protocol, was signed. In his article Harry Järv first reminds about the fifty years of Soviet denial of the secret protocol that divided up the territories of Estonia, Finland, Latvia, Lithuania, Poland and Romania into German and Soviet "spheres of influence", anticipating "territorial and political rearrangements" in Europe i.e. the invasions of Germany and the USSR of the listed countries. As Järv wrote, it was only in August 1989 that the text of the secret protocol was published in Soviet press. The first paper to publish it was the Soviet weekly Argumenty i Fakty. This was possible due to the admission a few weeks earlier by Valentin Falin, Chairman of the International Department of the Central Committee of the Communist Party. Järv then provided a history of how the protocol had been used, debated and supressed for half a century, eloquently demonstrating the many similarities between how the protocol was used by the USSR against the Baltic states and Finland. As a consequence of the protocol the USSR established the Finnish People's Government/Finnish Democratic Republic. The Soviet Air Force dropped the text of a treaty between the USSR and its new Finnish republic, i.a. on the unit in which Harry Järv served. Järv thus himself could pick up a fresh copy of this treaty. And here comes a quote from Järv on its effect on the Finnish troops: "I know of not a single example of it [the treaty] having had the desired effect" (my translation from Swedish). To make a long story short the Finnish puppet state of Stalin became a very strong motivation in the fight FOR Finland. Ultimately Finland, because of its incredible resistance, became the exception to the rule, the lone survivor of the secret protocol of August 23. Large territories had to be given up but the main body of Finland could go on as an independent and democratic state. Bearing in mind the bloody history of "spheres of influence" and "People's Republics" it will be interesting to observe how the 75th anniversary of the secret protocol will (not) be remembered in different countries. Harry Järv kindly obliged to my request to contribute a photograph from one of his patrols to Swedes at War. It is probably the strongest photo in the book (it is not the photo at the top of this blog post).